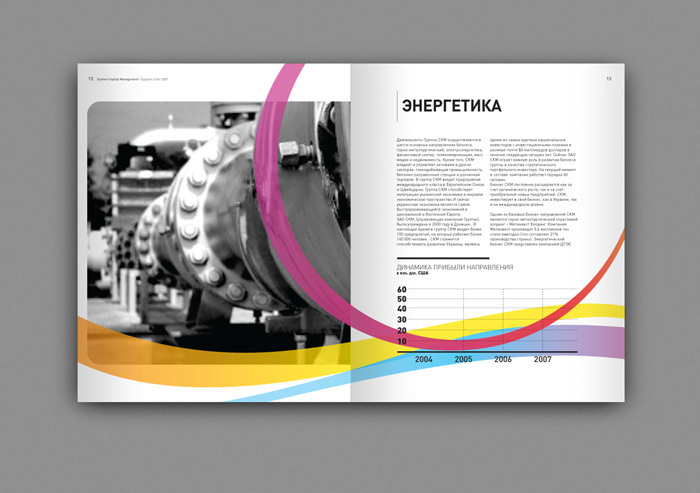 Annual report for SCM, Ukrainian industrial and financial group. The slogan of SCM is Moving Forward Together. 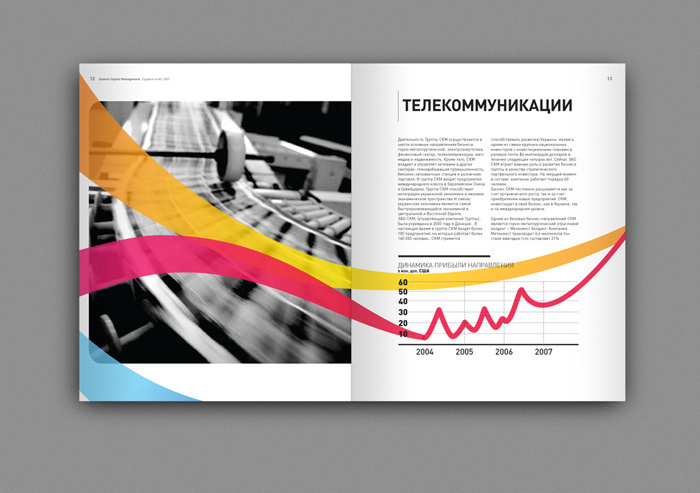 We decided to express this idea with dynamic lines that goes through entire report connecting all numerous businesses of the group. These lines sometimes transform to infographics and emphasize motion on photographs. As a part of ArtArea Brand Communication team. 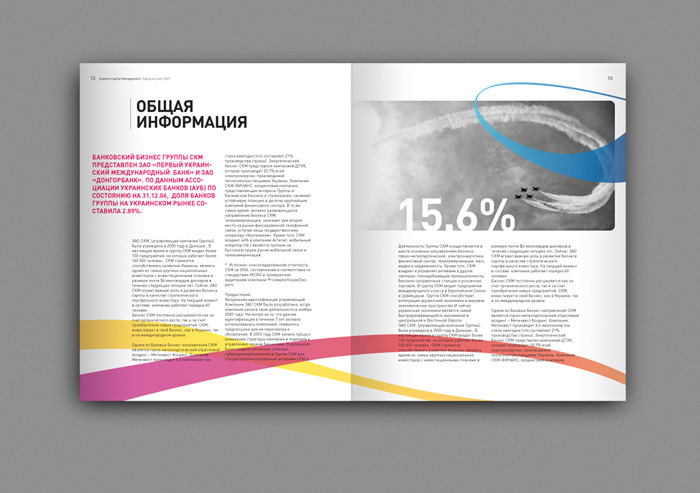 Art director: Katerina Kassil.